Go to original pattern for design DROPS Extra 0-980. 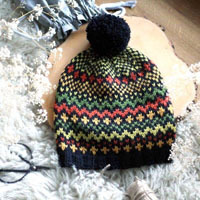 Crochet DROPS men's hat in ”Nepal”. 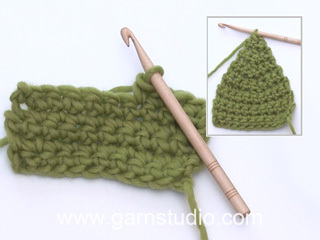 DROPS CROCHET HOOK size 5 mm / H/8 – or size needed to get 17 sc = 4” (10 cm) in width. Don’t end each round with a sl st in first st, but keep working continuous rounds in the round in a spiral. Use a marker or marking thread to mark beginning of each round. Work sc into back loops of sts to create a striped texture. Start with this technique to avoid holes in the middle (instead of ch-ring): Hold the yarn end and wind the yarn one time around the index finger to make a loop. 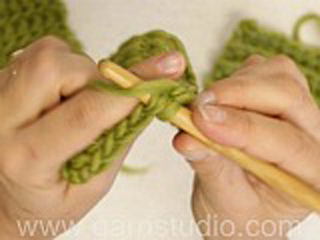 Hold the loop with left thumb and middle finger, place the yarn over left index finger. Insert hook through the loop, make a YO and pull yarn through loop, ch 1, then work sc's around the loop. When the desired no of sc have been reached, pull the yarn end to tighten the loop. Fasten the yarn end on the back side. Continue to work in the round in a circle. Work together approx every 7th/8th - 6th/7th sc on round. Work 2 sc tog: * insert hook in back loop of next st, get yarn *, repeat from *-* one more time, make a YO and pull yarn through all 3 sts on hook. With hook size 5 mm / H and medium brown make a Magic circle - see above, or ch 4 and join into a ring by working a sl st into 1st chain. ROUND 1: Work 8 sc in circle/ch-ring. From now on work sc into back loops of sts. ROUND 2: Work 2 sc in every sc = 16 sc. ROUND 3: * 1 sc in first sc, 2 sc in next sc *, repeat from *-* around = 24 sc. ROUND 4: * 1 sc in each of the next 2 sc, 2 sc in next sc *, repeat from *-* around = 32 sc. ROUND 5: Work 1 sc in every sc = 32 sc. ROUND 6: * 1 sc in each of the next 3 sc, 2 sc in next sc *, repeat from *-* around = 40 sc. ROUND 7: * 1 sc in each of the next 4 sc, 2 sc in next sc *, repeat from *-* around = 48 sc. ROUND 8: * 1 sc in each of the next 5 sc, 2 sc in next sc *, repeat from *-* around = 56 sc. ROUND 9: * 1 sc in each of the next 6 sc, 2 sc in next sc *, repeat from *-* the rest of the round = 64 sc. ROUND 10: * 1 sc in each of the next 7 sc, 2 sc in next sc *, repeat from *-* around = 72 sc. ROUND 11: * 1 sc in each of the next 8 sc, 2 sc in next sc *, repeat from *-* around = 80 sc. ROUND 12: * 1 sc in each of the next 9 sc, 2 sc in next sc *, repeat from *-* around = 88 sc. Finish inc in size S/M here, continue to work sc in the round. ROUND 13: * 1 sc in each of the next 10 sc, 2 sc in next sc *, repeat from *-* around = 96 sc. Finish inc in size L/XL here, continue to work sc in the round. When hat measures 12-15 cm / 5"-6" from top work sc's as before and change colors as follows: 2 rounds black, 3 rounds medium brown, 1 round black and on this round dec 12-14 sc evenly - read dec.tips above (= 76-82 sc remain), 4 rounds black, 2 rounds medium brown. Now hat measures approx. 20-23 cm /8”-9” from the top. 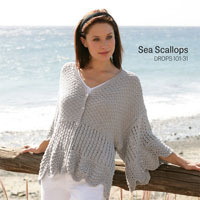 Is it possible to make this with super bulky yarn? what adjustments are needed? Dear Kelly, your tension will be completely different and pattern would have to be completely adjusted to your own tension. 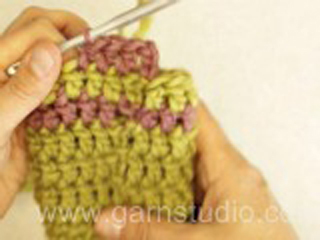 Should you need any individual assistance to adjust the pattern to your yarn please contact the store where you bought the yarn. Happy crocheting! I'm a beginner and the finished product was too tight at the end. What did I do wrong? Dear Sandra, did you get the correct tension? You should have 17 dc (UK)/ sc (US) = 10 cm/4" in width - and keep the same tension while working the hat. Happy crocheting! Dear Libby, you decrease only 1 time 12-14 sts on one round (the first round after the 3 rounds with medium brown) = there are now 76-82 sts continue working the last 6 rounds without decreasing anymore. Happy crocheting! How do I stop the spiral? There's not obvious transition from the beginning of the spiral to the end, so I can't tell where to put my sl st before I change colors. Dear Angelina, for a nicer transition for the stripes, add a marker in the first st of every round and let the marker follow the piece so that you can sl st the last st with first colour in this stitch. You can also continue working in the round in a spiral with the new colour, the transition will be quite smooth. Happy crocheting! Dear Lynn, when working stripes, stop the spiral and join in the round with the technique shown in the video will avoid you a jog at the beg of round. Happy crocheting! I'm failing to be able to join my spiral stripes without the "jog" despite reading your earlier answer to Lori. I'm obviously not interpreting something correctly "before changing colour you can join with a sl st with the new colour and continue as before without joining until next stripe, you will then avoid a jog at the back of hat" It sounds simple enough but it's not working for me..any suggestions what I'm missing. Dear Lynn, this video shows how to change colour at the end of round, ie work the beg of st with first colour (same of the round you are finishing) and make the last pull through with the colour used on next round. Happy crocheting! Because the rows are worked in a spiral, my stripes are not straight at the join. Any advice? Dear Lori, before changing colour you can join with a sl st with the new colour and continue as before without joining until next stripe, you will then avoid a jog at the back of hat. 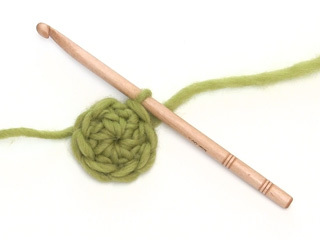 Happy crocheting! 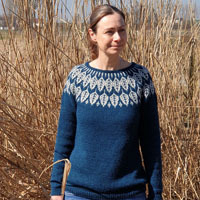 I have made two of these now and am on my third -- and I NEVER usually repeat a pattern! 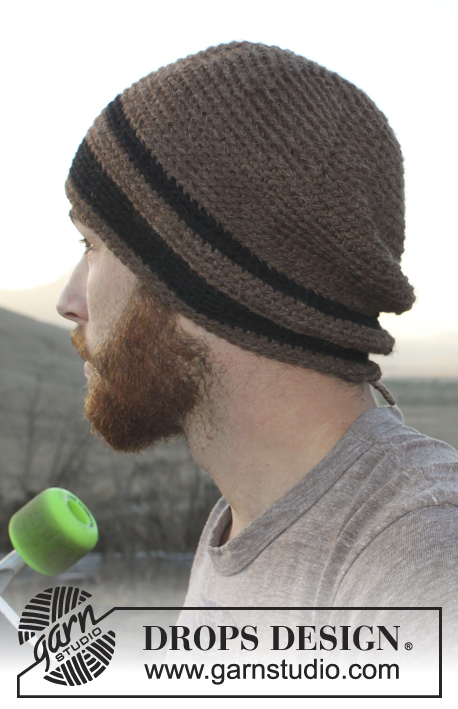 These beanies have such a nice weight to them -- not too bulky. I used yarn I had in my stash (Loops & Threads Impeccable) and it worked great. Thanks for the EXCELLENT pattern!